Colors: Gray, Gloss White, Gloss Black. Features: Intelligently Adjusts Power While You Ride, Uses Your Electrical Power More Efficiently. 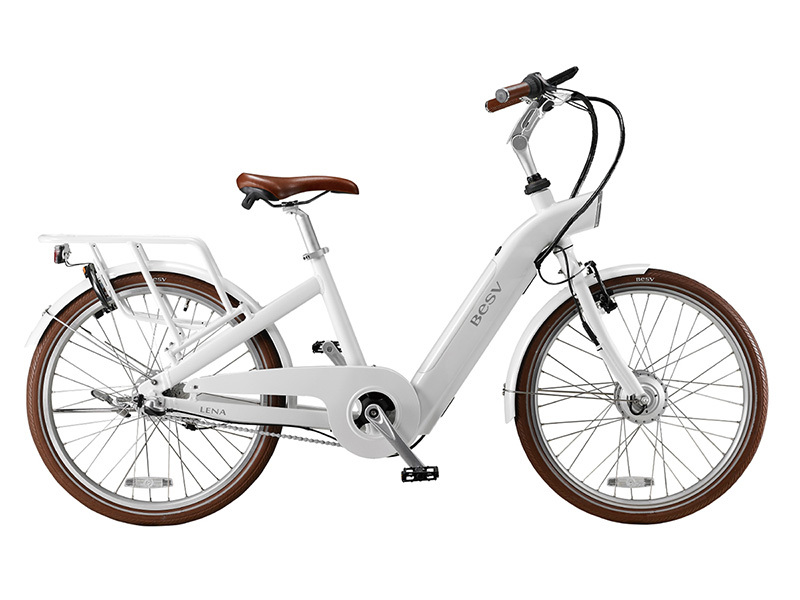 An approachable urban or neighborhood style electric bike with beautifully integrated non-removable battery pack, hidden motor, and built-in headlight. Available in two frame sizes, each with a different size wheel diameter, the smaller wheels lower the standover height while the larger are more efficient. Custom rack keeps bags clear of the saddle when lowered, plastic fenders keep you dry and clean, an ABUS frame lock secures the bike quickly. In addition to the headlight, there is also an integrated backlight and the tires have reflective tape for increased visibility, available in three colors.